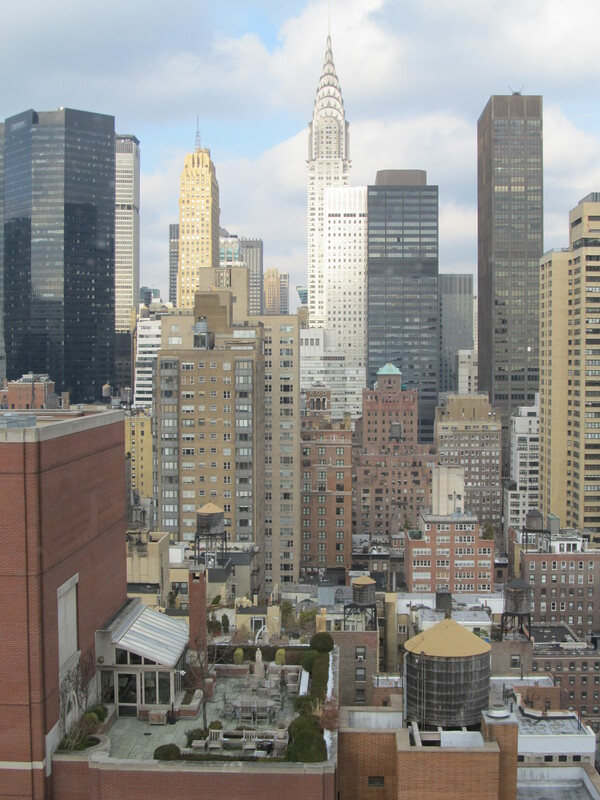 When we stayed in New York this winter, our hotel had an amazing view of Chrysler Building, which has always been my favorite skyscraper. During our stay, I found myself thinking about the building’s numbers. Seven arched tiers at the top. Then the rays on each tier arrayed: one, three, three, five, five, five, eight. These numbers feel elegant, like they carry their own rhythm, a numeric poem. A riff on the Fibonacci Sequence,* which has long been one of the mathematic concepts that’s resonated with me most. Three rays plus two tiers equals five rays. Five rays plus three tiers equals the next tier’s eight. 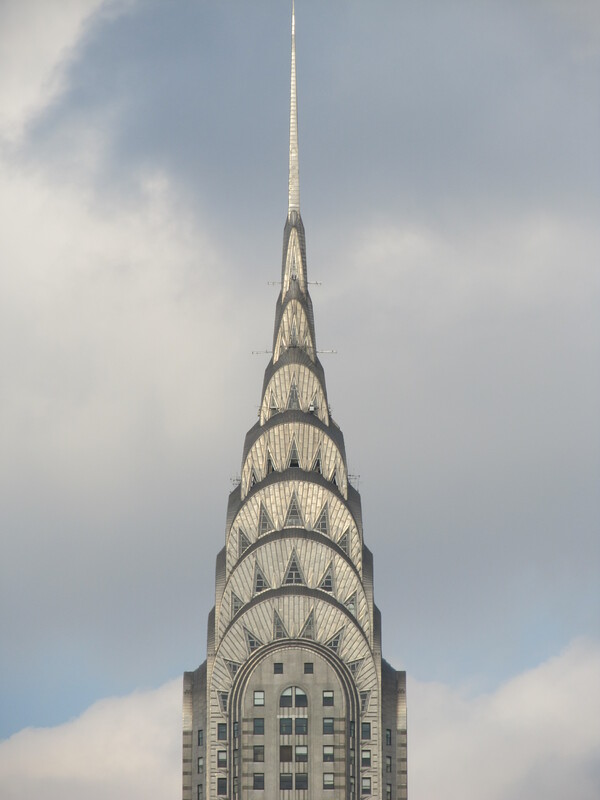 I had never known about the connection between the Chrysler Building and Fibonacci before, and it was a pleasure to discover it for myself while lying in bed, watching the sunrise. *A funny story about the Fibonacci Sequence: I first learned about it from Mathnet on PBS, when I must have been somewhere between 5 and 7 years old. Detectives Monday and Frankly used the Fibonacci Sequence to solve a crime, and for me, the pattern has been imbued with a quality of mystery ever since. I love that this picture captures both the Chrysler Building and the small rooftop garden across the street from our hotel. Large-scale and miniature testaments to beauty. 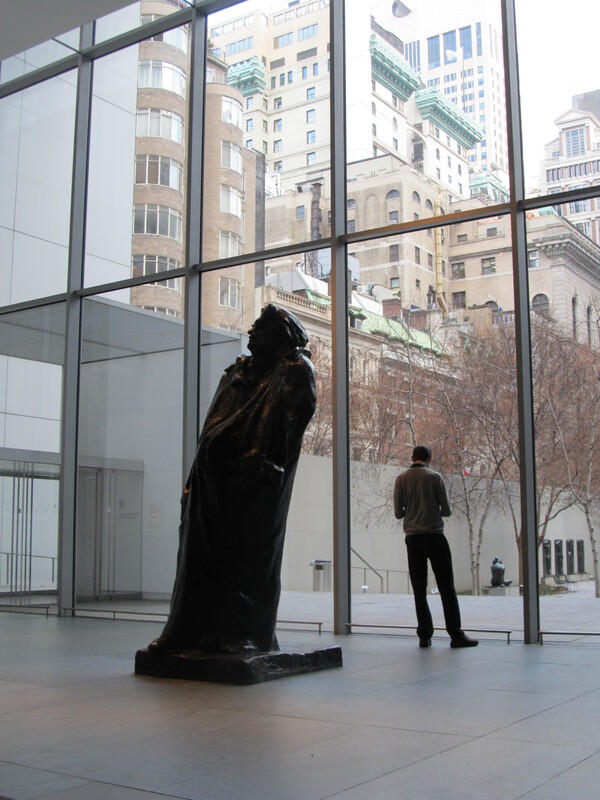 A couple of weeks ago, I made it up to the MoMA in New York. The MoMA is where I first fell in love with Cézanne’s landscapes back in the late 1990s. I haven’t returned the museum since its renovation, and I had two pieces of artwork I was especially excited to see on this visit. 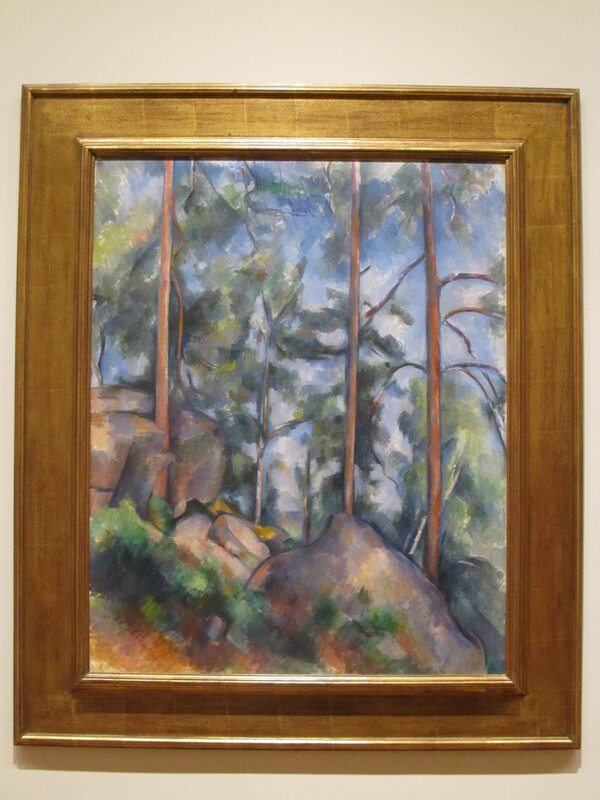 The first was Cézanne’s Pines and Rocks, which is one of the landscapes that first drew me into a lifelong admiration for Cézanne. I even wrote a paper on one of Cézanne’s Mont Sainte-Victoire landscapes when I was in graduate school. But I hadn’t seen Pines and Rocks since my last visit to the MoMA, even though I remembered its impact on me and thought of it often in the intervening years. After fifteen years, it was thrilling to be able to find this painting again. 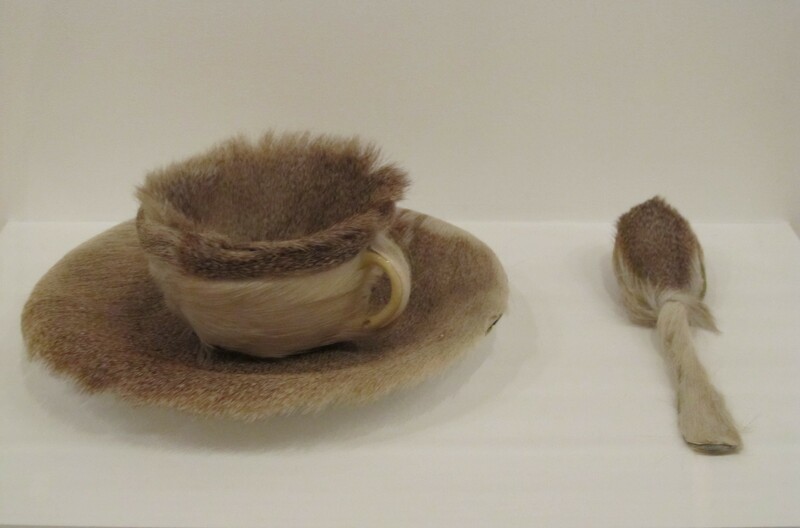 The second piece I really wanted to see was Méret Oppenheim’s Object. This is actually one I had never seen in person before, but a professor showed a slide of it during an art history class I took in college, and I felt immediately drawn to Object. I’ve kept a pretty low-quality print out from that slide presentation ever since then, just so I could have an image of it. We actually had a pretty hard time finding this piece in the museum at first, and we went back through the gallery twice, determined to find it. I was so happy to finally see Oppenheim’s tiny sculpture in person, and happy also to replace my grainy print out with a high-quality postcard image from the MoMA gift shop. 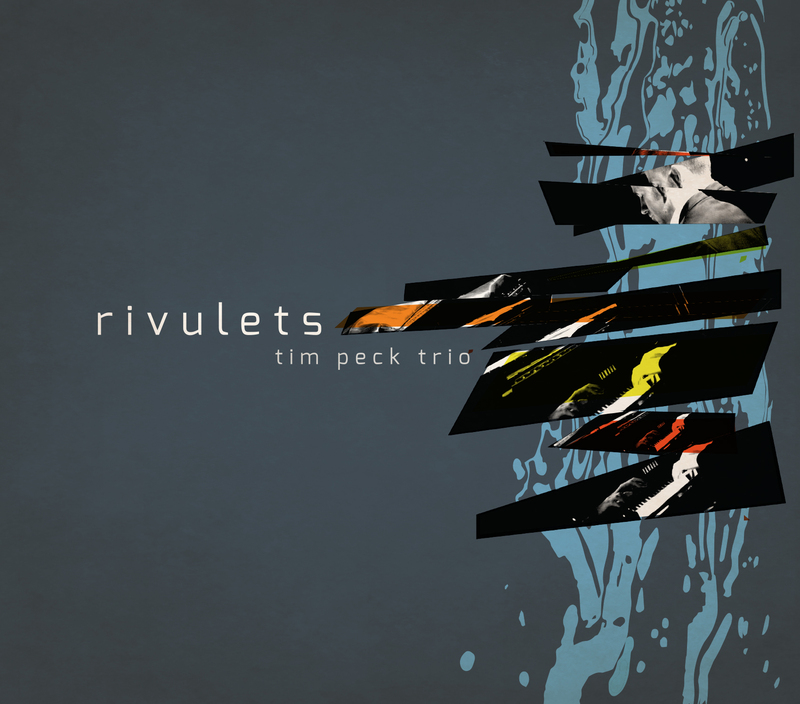 Has anyone else visited or revisited a beloved piece of artwork recently?